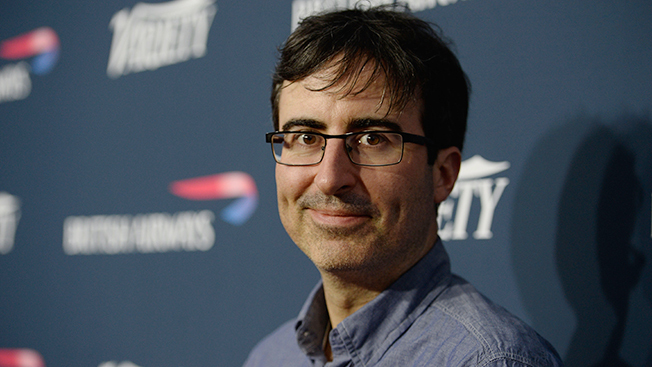 John Oliver is leaving The Daily Show With Jon Stewart. The English comedian, who hosted the four-nights-a-week commentary show on Comedy Central during Stewart's absence, will star in a weekly topical comedy series on HBO starting next year. No title has yet been announced. Oliver has been stretching his wings on Comedy Central, hosting specials of his own and four seasons of John Oliver's New York Stand-Up Show, a showcase series for up-and-coming comics like Ron Funches and James Adomian. The seven-year-plus Daily Show veteran's stint as Stewart's replacement met with largely positive reviews from regular viewers (and a lengthy ribbing from his co-workers who… sure, we'll say "paid tribute" to him when Stewart returned). One of those impressed by Oliver's tenure as host was Michael Lombardo, president of programming for HBO. “We weren’t otherwise searching for another weekly talk show, but when we saw John Oliver handling host duties on The Daily Show, we knew that his singular perspective and distinct voice belonged on HBO,” said Lombardo. It will be interesting to see how Oliver fares on the network with Bill Maher, whose show, Real Time, is similar in format (though very different in tone) to The Daily Show, and also airs weekly.